It’s an unwritten rule that any destination aiming to boost visitor numbers must, first and foremost, label itself as “friendly”. Who, after all, would holiday anywhere that billed itself as wilfully unfriendly? Naturally, the Irish, ever eloquent, have to go several steps further – welcome, then, to Dublin: The City of a Thousand Welcomes. This is far more than just a slogan. Visitors to Dublin can actually register to be met by a local, a city resident who’ll take them out for a cup of tea or a pint, all the while generally filling them in on where to go and what to do. The scheme, completely free and now in its fifth year, is the perfect introduction to a capital that regularly takes home the honours in every international “best city” tourism awards going. It’s even more impressive when you bear in mind that Dublin and Ireland had something of a chequered start to the 21st century. They roared into the millennium on the back of the Celtic Tiger boom years, then hit the skids after falling heavily into recession in 2008. Now, they’re decidedly on the way back, with Dublin once more the epitome of growth and vibrancy. Ireland attracts more than eight million visitors each year, a feat made all the more remarkable when you bear in mind that the total population of the country is just over half that figure. A sizeable proportion of those tourists have Dublin (population, 500,000) on their must-visit list, and no wonder, given its history, culture, charm, creativity and hospitality. Or, as the Irish might say, just because the craic is so good. A few years back, however, Dublin’s appeal seemed in danger of being overshadowed when it earned the rather dubious distinction of being the “stag and hen-do” capital of the world. You’ll still find raucous pre-nuptial shenanigans going on throughout the Temple Bar, but if you don’t fancy that – and who would? – it’s easy to side step. It would be a waste of a weekend, in more ways than one, if you didn’t. The two halves of Dublin – North and South – are bisected by the River Liffey and are stitched together by 23 bridges in a variety of shapes and sizes. As any visitor is going to be crossing the river quite a bit, that’s probably just as well. Dead centre – and a useful orienting point – is the famous O’Connell Bridge, a crossing that is as wide as it’s long. Just up from that is the photogenic, cast-iron pedestrian Ha’penny Bridge, so called because that’s what it used to cost to cross it. More recently, the Samuel Beckett Bridge and the Rosie Hackett Bridge (named after the famous writer and prominent trade unionist, respectively) have swelled the number of crossing points, adding ever more fuel to the on-going debate about architectural variety and merit. Most tourists, however, favour the south – the Trinity College side – when it comes to hotels and walking. Trinity College Green is the starting point for many visitors, with the university’s quads and campus embodying a rich academic tradition stretching back to 1592. Within its ancient library you will find the venerated Book of Kells, an illuminated manuscript Gospel written in Latin by Irish monks around 800AD. It’s one of Dublin’s most visited attractions. If old books aren’t your thing, you may just want to sit in the beautiful college grounds and let the world pass you by. Such a sojourn will give you ample time to wonder at the staggering list of alumni who have passed through Trinity’s impressive portals over the years. Many of these former students were writers, with Ireland (and Dublin in particular) boasting a remarkable literary tradition, one unparalleled for a population of its size. O’Casey, Wilde, Swift, Joyce, Behan, Toibin… the list is endless. Quite how Ireland has managed to keep producing such brilliant writers is anybody’s guess, but no less than four Irish writers – George Bernard Shaw, W B Yeats, Samuel Beckett and Seamus Heaney – have won the Nobel Prize for Literature. It’s small wonder then that Dublin is a UNESCO-designated City Of Literature, one of only four in the world. Naturally, the city plays up its literary heritage. Especially recommended are both the Dublin Writers’ Museum in Parnell Square and a trip out to Sandycove to visit the James Joyce Museum. The latter is housed in a former Martello Tower that was built to withstand invasion by Napoleon. Fittingly, it was also the setting for Ulysses, Joyce’s masterpiece. Back in Dublin centre, it is worth signing up for a literature walking tour, true erudition on the hoof. There’s even a walking tour that combines literature and pubs – perhaps providing the elusive answer as to where many Irish writers found their inspiration. Speaking of walking tours – and there are a surprising number on offer in the city – the 1916 Rebellion walking tour is particularly popular, not just because this year happens to be the centenary of the armed Easter rising against British rule. The key locations of the rebellion – the General Post Office building on O’Connell Street, Dublin Castle, City Hall, Liberty Hall, Kilmainham Gaol (where the leaders of the uprising were executed) – can be visited without the aid of a guide. Although if you really want to discover how the independent Irish state emerged from the ashes of this conflict, it’s best to take advantage of the truly enthralling guided tour. Dublin also offers a number of locations where you can while away the hours in between the more energetic walking tours. Merrion Square – Oscar Wilde lived at 1 Merrion Square between 1855 and 1876 – is an especially fine example of a Georgian garden square, complete with its elegant town houses and greenery, as is the smaller Fitzwilliam Square. In the same vein, no visit to Dublin would be complete without taking in the air at St Stephen’s Green, a 22-acre city centre park where you’ll find – among other notable features – an ornamental lake, a waterfall, a multitude of sculptures and a children’s playground. For an even more expansive green space, head for the 1,750 acres Phoenix Park with its 11-kilometre perimeter wall. As well as being home to a herd of wild fallow deer, the park is also site of Dublin Zoo, another major attraction for visitors. 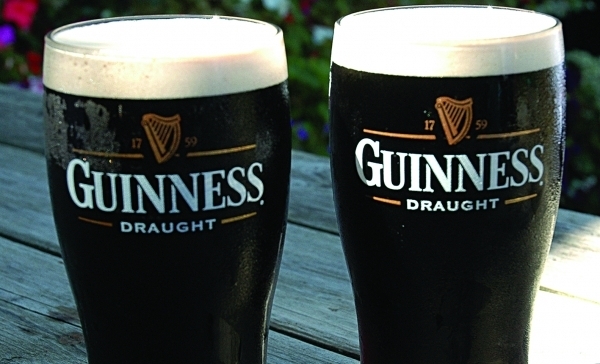 Any introduction to Dublin’s eternal appeal, however, would be sorely lacking without any mention of the Black Stuff – Guinness, one of the most famous drinks in the world. It’s wholly remarkable that a branded product can be quite so synonymous with a city, a country and a culture in the way as this talismanic stout, first brewed in Dublin back in 1759, is. Forget that it’s now owned by a large multinational and is produced in 60 countries around the globe, just listen to the experts’ advice that a Dublin-drawn pint of Guinness tastes better than any served anywhere else in the world. They’re right. Unsurprisingly, the Guinness Storehouse – the interactive visitor centre on the site of the original brewery in St James’ Gate – is one of the most popular destinations in the city. It tells the Guinness story over seven floors and is not to be missed. Better still, though, just call into any Dublin pub – there’s over a thousand of them – order a pint, and get straight to the heart of the mystery. There’s an unmistakable ritual to pouring a Guinness – the shape of the glass, the dispensing angle, the 120-second two-part pour, the heaped creamy head on the pint… Whether this is all science or marketing codswallop is immaterial when it tastes this good. The pubs you’ll visit will largely be dictated by your primary interests – literary, architectural, historical, sporting – or whichever is the nearest. It’s pretty guaranteed, though, whichever hostelry you end up in will have a story of its own to keep you entertained. Certainly, if you’re after authenticity, put O’Donohue’s, McDaid’s, O’Neills, Mulligan’s and The Stag’s Head on your pub crawl to do list. Not however, necessarily, all on the same night. All that drinking will inevitably make you hungry. Thankfully, there’s no shortage of eateries to help line your stomach. While the Temple Bar area is awash with takeaways, Dublin’s restaurant scene has experienced something of a revival in recent years with Michelin stars now abounding. At the upper end of the scale, check out Chapter One or L’Ecrivain. If you’re after somewhere quirkier, wend your way to The Winding Stair. You’ll find it charming and truly laid back. You’ll also have to try a number of Irish staples, most notably Boxty (potato cakes), Coddle (Irish hotpot) and Bacon and Cabbage at least once during your stay. Having said that, a killer Irish breakfast – bacon, sausage, eggs, black and white pudding, potatoes and soda bread – will keep you going all day. Perfect after a night on the Guinness. Tempting as it is to spend all of your time in Dublin eating and drinking, there’s plenty of other things to see and do. The Irish love their sport so much that they’ve come up with team events you’ll only really see being played here. The GAA – Gaelic Athletic Association – presides over the exclusively Irish sports of hurling and Gaelic football. If you get an opportunity to see either (at the city’s 80,000 plus capacity Croke Park) you really shouldn’t turn it down. Aside from sport, Dublin is rightly renowned for its music – not only of the traditional folk variety, but also in terms of more contemporary offerings, most notably U2, The Pogues, The Script and Thin Lizzy. Indeed older rockers are advised to head down to Grafton Street to have their photograph taken alongside the statue of the late Phil Lynott, Thin Lizzy’s legendary front man. There’s also an Irish Rock N Roll Museum in Temple Bar, a dedicated U2 exhibit in the Little Museum of Dublin and any number of live concerts at venues large and small across the city. If you really want the diddly, diddly of “traditional” Irish music – the fiddle, the guitar, the tin whistle, the bodhran and the accordion – just ask for directions to Temple Bar. In the words of the old Irish joke, you may well be told “I wouldn’t start from here”, but it’s worth persevering. Go anytime of the year and you won’t be disappointed. If it rains, shelter in a pub. If you really want to see Dublin at its very best, then St Patrick’s Day (17 March) is the date to ring on your calendar, as is Bloomsday (16 June), named after Leopold Bloom, the central character in Ulysses. Whenever you go, though, you’ll find that the promise of the city of a thousand welcomes isn’t an empty marketing boast. Dublin really is a most welcome break.